Watch our 360 video and learn why no child should ever suffer from polio again. You are there: Join UNICEF Goodwill Ambassador Ewan McGregor on a 360 / virtual reality journey to #endpolio forever. You’ll meet 9-year old Job, one of the last children in Kenya to contract the disease, and Sabina, a dedicated vaccinator who will do whatever it takes to ensure that no child should ever suffer it again. We're closer than ever to ending polio. Polio is a highly contagious disease caused by a virus that causes paralysis and even death. Children under five are most susceptible to the disease. Polio is incurable, but it is easily preventable with a simple vaccine. UNICEF and Rotary, a global network of volunteers dedicated to tackling the world’s most pressing humanitarian challenges, are working together in the fight to end polio forever. Since UNICEF and Rotary began their partnership in 1988, both organizations, as members of the Global Polio Eradication Initiative have played a fundamental role in dramatically decreasing the number of polio-endemic countries. In 1988, an estimated 350,000 cases of paralytic polio occurred; at that time, polio was endemic in 125 countries. Today, polio remains endemic in just three countries: Afghanistan and Pakistan. In 2017, there were just 22 cases worldwide. 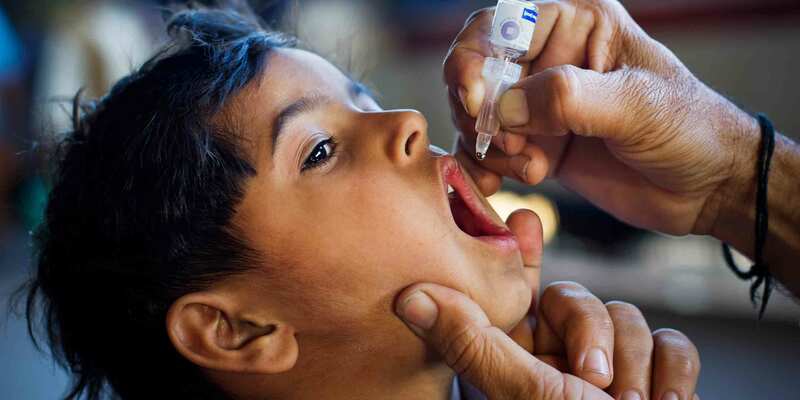 Rotary funds critical elements of UNICEF’s polio eradication programs, such as national immunization days, polio vaccine delivery, and training of health workers. Rotary’s network of volunteers in more than 200 countries and regions has also worked with UNICEF in the field to ensure that the poorest, most isolated children are immunized against polio. The fight to end polio continues to be marked by great progress such as the World Health Organization's September 2018 declaration that Nigeria is polio-free. Nigeria was the last country in Africa where polio was endemic. The continent celebrated its own first full year without the disease on August 11. UNICEF is committed to vaccinating every child and eradicating polio for good. Join Rotary in supporting UNICEF's immunization efforts. The annual number of polio cases has been slashed 99% since 1988. The campaign against polio has prevented 15 million childhood disabilities since 1988. UNICEF buys 1.7 billion doses of oral polio vaccine to reach 500 million children every year. Polio remains endemic in just three countries: Afghanistan, Nigeria and Pakistan. A donation of $19 can protect 100 children under the age of 5 from polio. Infant and childhood vaccinations save an estimated 3 million young lives every year. One day. One focus. Ending polio. Watch our 360 / VR Film narrated by UNICEF Goodwill Ambassador Ewan McGregor. Home to half the world's cases just three years ago, Nigeria is no longer polio-endemic. Watch our short film to see how it happened. The world is so close to eradicating polio. But with three new cases in neighboring Nigeria, Chad is taking no chances. 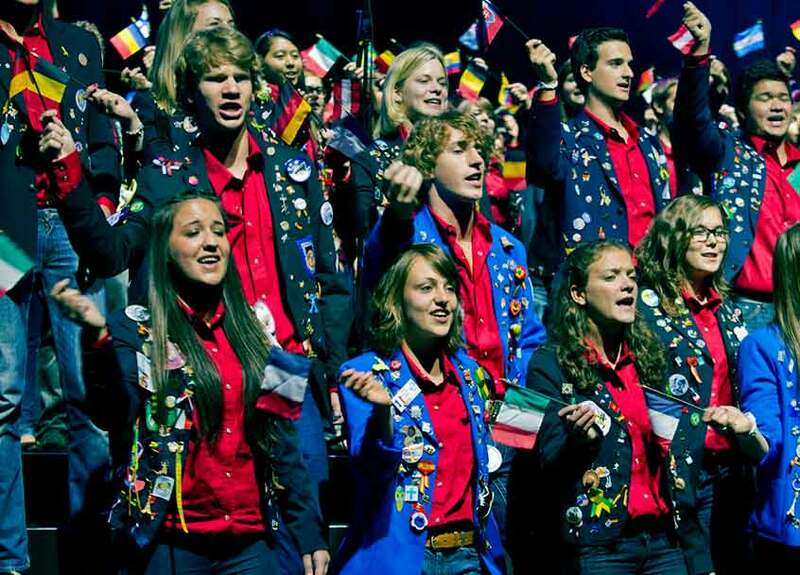 There are 33,000 Rotary clubs in more than 200 countries and geographical areas. Clubs are nonpolitical, nonreligious, and open to all cultures, races, and creeds. As signified by the motto Service Above Self, Rotary’s main objective is service—in the community, in the workplace, and throughout the world. UPDATE: Nigeria marks two years without a single case. Watch our short film on a major step toward a polio-free world. Join Rotary for a live-streamed global status update on the fight to end polio on Friday, October 24.